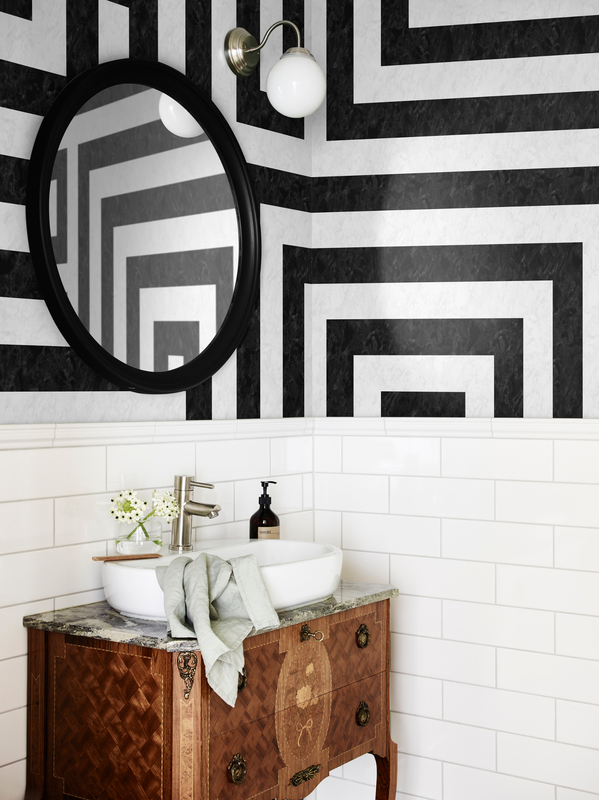 Sandberg Wallpaper launches new wallpaper collection Rand, designed as a basic wardrobe for every room. Here, you can rearrange and change details as often as you want, without the wallpaper feeling dated. Bright Scandinavian colors, simple graphic patterns and striking contrasts show that a classic choice need not be boring - on the contrary! 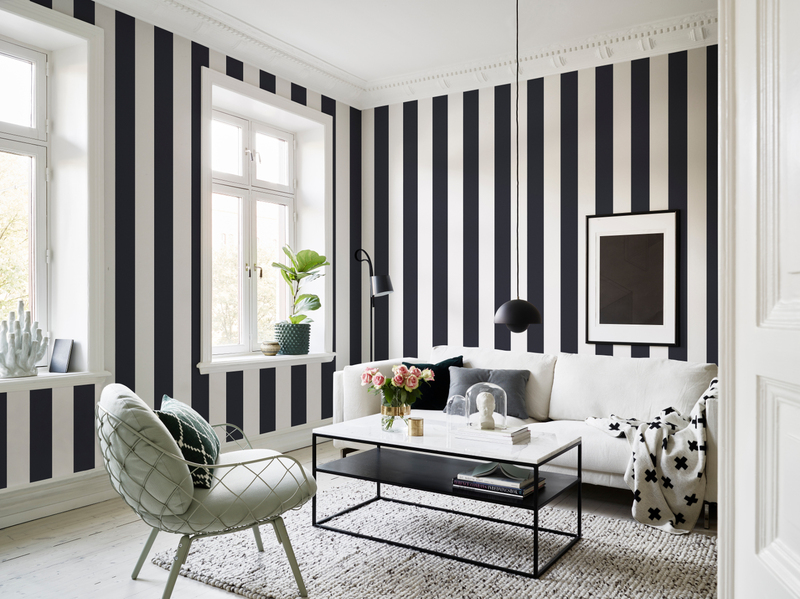 With a stripe as a base, you have endless opportunities to create rooms in different styles, where new trends, vintage finds and furniture classics can play the main role. The design team behind the collection have had the Scandinavian aesthetics as an inspiration and it shows. Rand is stylish wallpapers for the modern home and the key word is simplicity, in terms of both form and color. - We have identified a variety of interior inspiration to find the best and most useful colors, resulting in a collection where we want to have the nuances make the difference and where many will be able to find personal favorites that they will be able to love for a long time, says Sara Bergqvist, designer at Sandberg Wallpaper. The inspiring collection book is styled by interior stylists Emma Fischer and Charlotte Ryding. 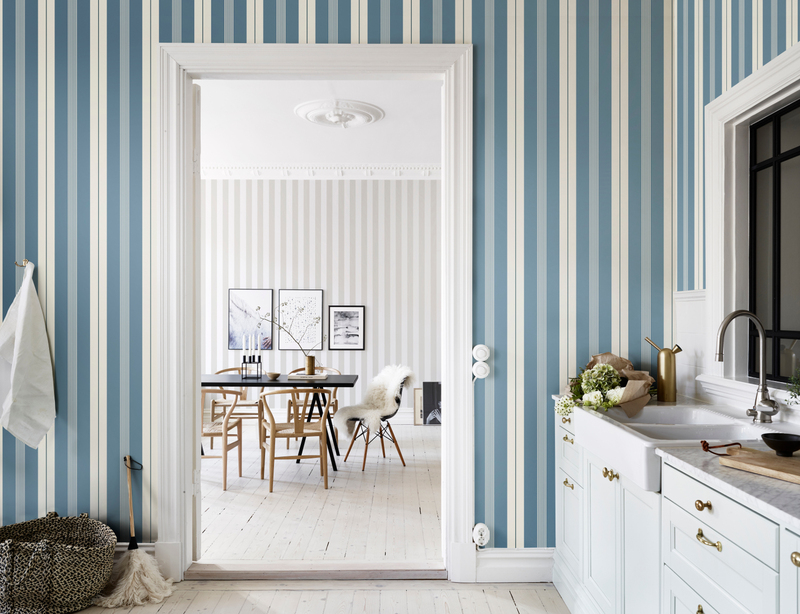 Together with interior photographer Jonas Berg they show how the right wallpaper gives a stylish foundation and creates the conditions for a home filled with choices. Whether you want to renew frequently, or have found your signature style long ago. 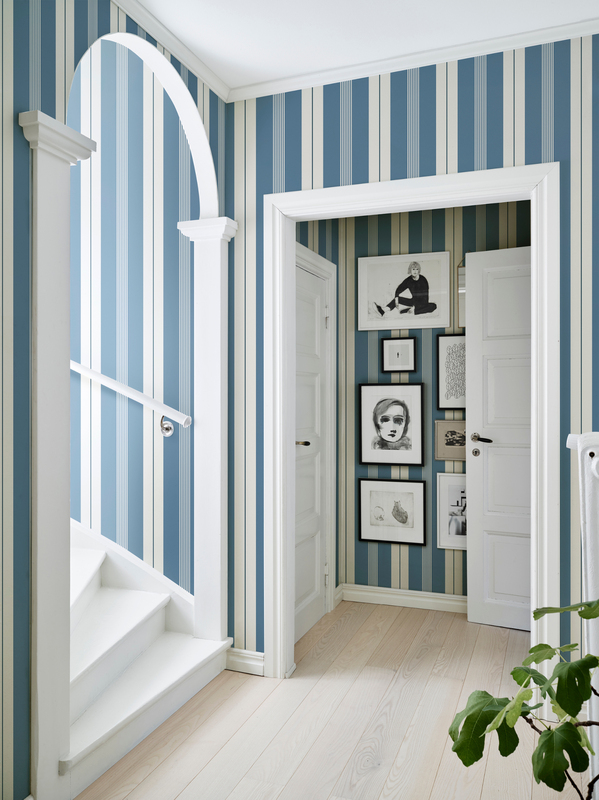 Rand is a complete dictionary of striped wallpapers - a guide for any room that needs a tasteful and sustainable update. Let the walls create atmosphere and set the tone for the room's palette, while highlighting beloved furniture and personal styling. As a perfect classic shirt in the closet, they lift all the accessories, and really only need to signal one thing: Style. The choice is simple and opportunities endless.